I would suggest yes but first use the headphones with the sound system you plan on using it. If they headphones are not sound enough then find an appropriate amp. I purchased one from Monoprice but had to return it because it was not loud enough. Good Luck and Happy Listening. Amp is not necessary. My iPhone powers it more than adequately. I do not need a headphone amp. My iPhone 7 works very well. I'd recommend one. They scale well with better amps. No, not necessary, but always good to have one. These have removable cables, but are they capable of being run in balanced mode? Yes, they are capable of being run balanced when you buy the required 4-pin FOR to do so with a balanced amp. Yes with a balanced cable. Stock cable is single ended, so you will need a different cable. Yes. I bought a Periapt balanced cable and it works well. Excellent. One use is with a DAP so I might have them make the 2.5mm male to 2.5mm dual male balanced cable. Yes. You have to buy a 3rd party cable or build your own. Yes, you just need 2.5mm mono to 4 pin balanced XLR. Does Revision 2 of the M1060 still have the ringing sound at 5kHz? BEST ANSWER: I have heard a lot about the ringing problem, but I have not experienced this at all. These are incredible headphones and many of us who have purchased them would be quite upset if we heard "ringing". Look up "Z review" on this headphone. He doesn't hear it either. DMS TV did an initial review where he praised them to a superlative degree. Then later he apparently heard the ringing and started modding them till they broke. My question is; Where is your credibility? Where was this ringing when you gave the glowing review? 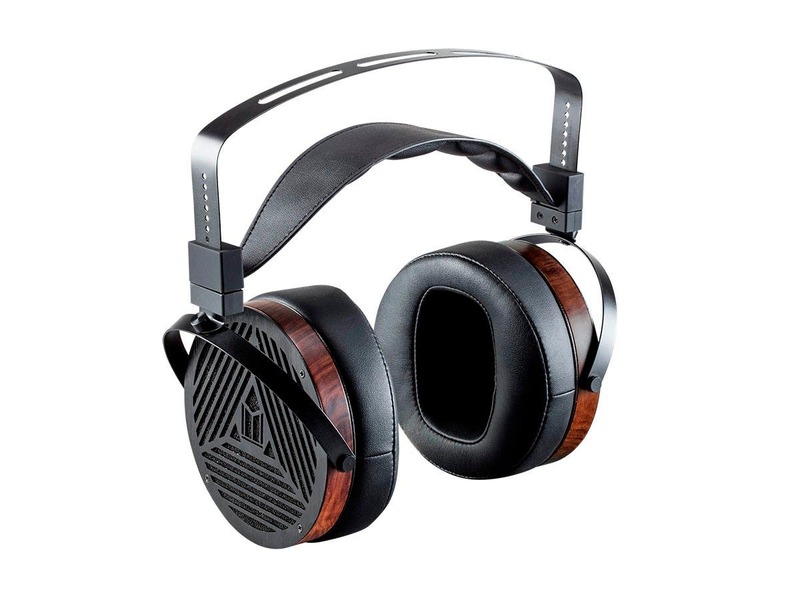 I think that Audeze LCD2 purchasers and some reviewers just don't want to give the M1060's the credit they deserve. I have music that I have listened to for over 30 years. I know my music very well. I would notice any additional "ringing". It would be a definite deal breaker for me if I did. These are great headphones for great price! I highly recommend them. It depends on the type of music you listen to. In acoustic music (classical, or live recordings), you shouldn't hear anything unpleasant, ever. If you listen to a gene that's always studio produced (pop, hip hop, rap) and highly processed you might, but I don't think it's the headphones fault., rather I think it's because engineers boost these frequencies as people who listen to this type of music don't usually listen on higher quality gear. Anyway, unless you try them you'll never know if they work for you. Thankfully Monoprice have a very liberal return policy. Good luck. That depends, I did not notice the ringing that some experienced so YMMV. These can sound good out of the box but they sound great after mod. I also own Hifiman HE4XX and Fostex T-X0, they are nowhere close to the M1060, which is my daily driver. Go head-fi and you can learn more. I don't have objective measurements, but I hear a mid-treble resonance that is particularly excited by vinyl surface noise. "Tic" sounds end up sounding like "tac," so impulse decay isn't as quick and clean as it should be. I've never noticed any ringing sound at 5khz. What comes in the box with these headphones? BEST ANSWER: Headphone carrying case, headphone cable, 1/4 inch adapter, headphones. In the box are: the headphones (obviously), a nice luxurious travel case, and (I'm not sure about this) a gold plated converter from the small headphone jack (for a smartphone for instance) to the bigger headphone jack (for your Hi-Fi for instance). A large black carrying case for the headphones, a black braided cable with a right angle adapter, a 1/4 inch adapter, and the headphones as pictured. The headphones, the 2.5mm cable to 3.5, an 1/4 adapter, and a big circle carrying case(semi hard). It looks like these will come with a removable cable. What type of connectors will it use? BEST ANSWER: UPDATE: The Monolith M1060 has been updated now to utilise a 2.5mm jack instead of the mmcx connection it was using before - this is suppose to fix multiple issues people were having with the mmcx connection. Can somebody official confirm this? The guy in the first review answers this question: "This headphone uses mmcx connection, which is what is used by shure/westone and other earphone makers. " 2.5mm cables. Your mileage will vary. My left 2.5 cable was DOA right out of the box. What are all the changes and improvements in the second batch? BEST ANSWER: Without disassembling them you can't see what they did, but the head strap attachment was strengthened. The wood has been fully treated inside and out to stop cracking. The outer grille is finished better. The connectors have been changed to 2.5mm jacks for greater durability. The cord itself has been lengthened for more freedom of movement. Basically, every issue has been addressed and seemingly resolved without raising the price a penny. The grills aren't as sharp. They're rounded out much more smoothly. The MMCX connectors are now a 3.5mm stereo angled connector to dual 2.5mm mono connectors. The wood is nicely finished and doesn't crack. Or it hasn't yet, but I live in Texas and it's pretty humid here. Better wires...my buddy has the first batch and likes the changes made including the wood finish and the plastic finish. How long is the cable included with this headphone? Will there be options to purchase both a long and short cords? BEST ANSWER: UPDATE: The newly revised Monolith M1060 has had the cable replaced by a 2.5mm to 3.5mm 6ft cable, much requested by the community. What material are the earpads of the Monolith M1060 made from? BEST ANSWER: Enter an answer to this qComfort: The Monolith M1060 has been engineered to be comfortable for extended listening sessions. Large, comfy earpads made of faux leather and a padded headband are designed to keep you comfortable as you listen. I would call it the most soft and smooth pleather you have ever felt. Very comfortable. PU Pleather.....with what feels like memory foam interior. Are the cups wood, or is that a veneer over plastic? I want a longer cable for my M1060s - anyone know a good source for quality cables? BEST ANSWER: UPDATE: The default cable has been updated from a 4ft mmcx cable to a 6ft 2.5mm cable in the default packaging along with obviously the connector on the headphones being updated from mmcx to a 2.5mm jack. Most IEM mmcx cables are only 4ft so I would recommend either buying a Shure headphone cable (they use the same connectors) or buying a custom made mmcx cable from a custom manufacturer with the length you want. Just get anything with mmcx connectors (for the M1060 itself) and have the other end terminate however you need. I bought a 3.5mm F/M extension. BEST ANSWER: I would not recommend them for portable use. They do sound good without amplification, but the M1060's reach a completely different level with a proper AMP/DAC combination. I wouldn't recommend them for portable use. They can be driven loud enough off of a phone or laptop, but it is recommended you get an amp (such as Audio-GD's NFB-11, which is also doubles as a great DAC). They are not portable, there huge. They sound good without an amp, but they realy shine with a good dac/amp. I am using de Aune X1s and it sound realy good. BEST ANSWER: There is not a good way to do this without destroying the sound quality of the headphone. I would recommend that you do not do this. It will seriously change the response curve of the 'phones. I find that the "transparency" of the planar drivers in this headphone is so good that I tend to listen at much lower volumes than my other 'phones (which are also open back). Try turning it down.... this might fly with your family. Not so much at work. No they are built to be open if you close them it would kill your ears with treble. Yes, indeed, the ear cups articulate freely in the yolks, much like the HD280's(I had these in the past). Their motion is only halted once the cables touch the top of the yolks...which makes for nearly 180 degrees of spin. Hope this helps. The ear cups turn on any directions. You can position it any how you want it. Will these headphones require an external amp, or will they perform adequately connected directly to a computer? As opposed to the M560? My Fiio X5 (1st gen) drives them adequately. Not optimally, but certainly well enough in a pinch. These headphones are pretty easy to drive. I can drive them with my iPad mini to pretty loud levels. However, a headphone amp is probably better to get the best possible performance. These are much easier to drive than the T50RPs which I also have. will this come with a 3.5mm to 6.35mm adapter? BEST ANSWER: It does come with an adapter now (as of second batch)! Is this for real? Or is it just a dream? 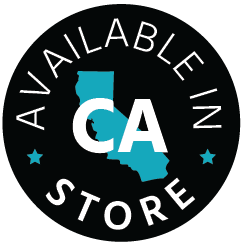 'Cause I keep waking up and refreshing this page but it's always out of stock. BEST ANSWER: Oh it's coming. Very soon. It will be in stock by the end of this month. Stay tuned! I bought them on Ebay on Friday and rec'd them on Saturday. Purchased them from Monoprice ... on Ebay. 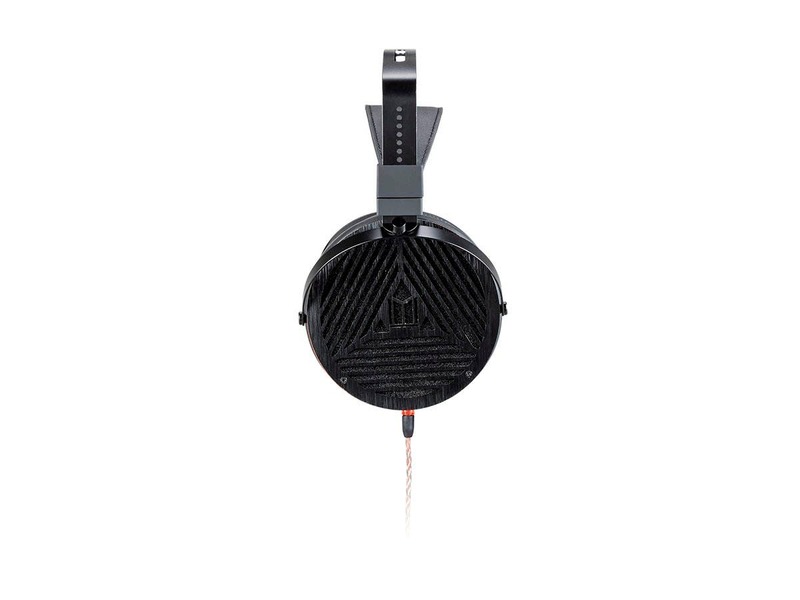 Will the Monolith be compatible with aftermarket earpads (like those for the Audeze LCD-2, for example) ? BEST ANSWER: Yes they are compatible with Audeze and ZMF Eikon pads. Go with a suede pad. Though the stock pads are comfortable you'll get better sound (imo) with a suede pad. You likely won't need A.M. pads. They are extremely comfortable. Most comfortable cans I've yet to wear. Who is building this for Monoprice, shouldn't be hard to figure out, as there are what, like 3 or so manufacturers of planar headphones in the world? Fostex, Hifiman, Audeze, and I am already running out of names. BEST ANSWER: I don't know who's building them. Probably a Chinese factory, but who cares? 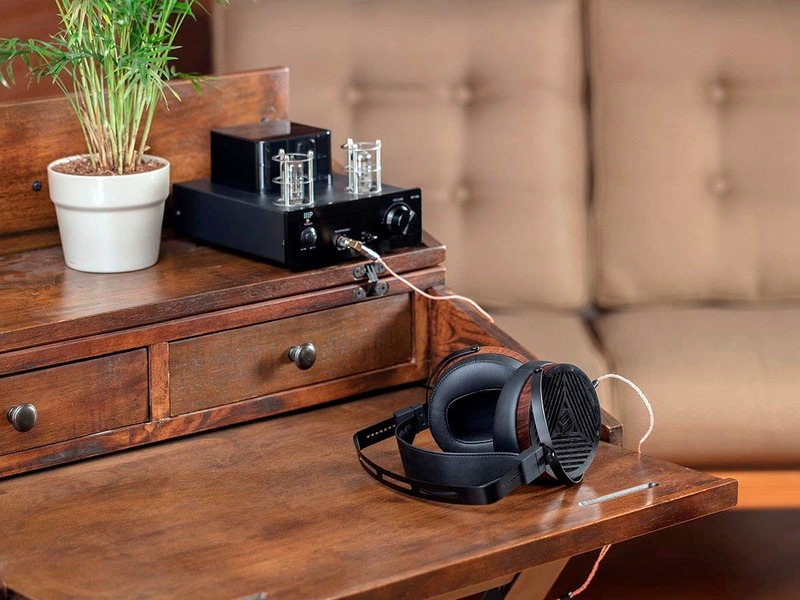 I've heard that the driver is a clone of the Audeze LCD-3 (V. 1?) and it sounds like it. Five year warrantee? No worries. 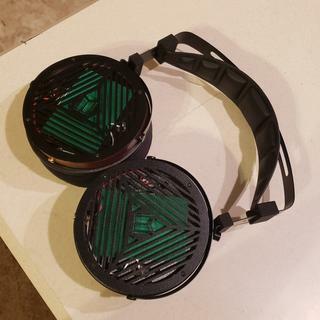 These are essentially older audeze version. Does a chromecast audio have enough power to drive these headphones? BEST ANSWER: These headphones are pretty easy to drive and get volume out of, however, they won't sound their best being driven by a chromecast audio. They really thrive with a headphone amp. How bout my vintage Marantz 2238 receiver ? It's only 38 watts but I've been told the older stuff has pretty decent headphone amplification . Is that true ? BEST ANSWER: Yes -- in fact, I just adjusted mine about ten minutes ago. Does the M1060 come with a 1/4" adapter? If not what does the 3.5mm plug accept, a threaded or non threaded 1/4" adapter? BEST ANSWER: Yes, it now comes with an adapter. Non threaded. It does not come with a 1/4 adapter. It uses a non-threaded 90 degree minijack. BEST ANSWER: They are fairly neutral, but has some of the best planar bass i've experienced! plenty impact, hits low on bass boosted tracks, and short of a bit of 5khz treble spike its quite easy to listen to overall. The mid's is the second strong point where its intimate while still being airy with good imaging. Unlike the Audeze house signature being extra veiled/recessed. what type of wood is being used ? BEST ANSWER: The wood used is mahogany. Is the myth about David vs. Goliath true? 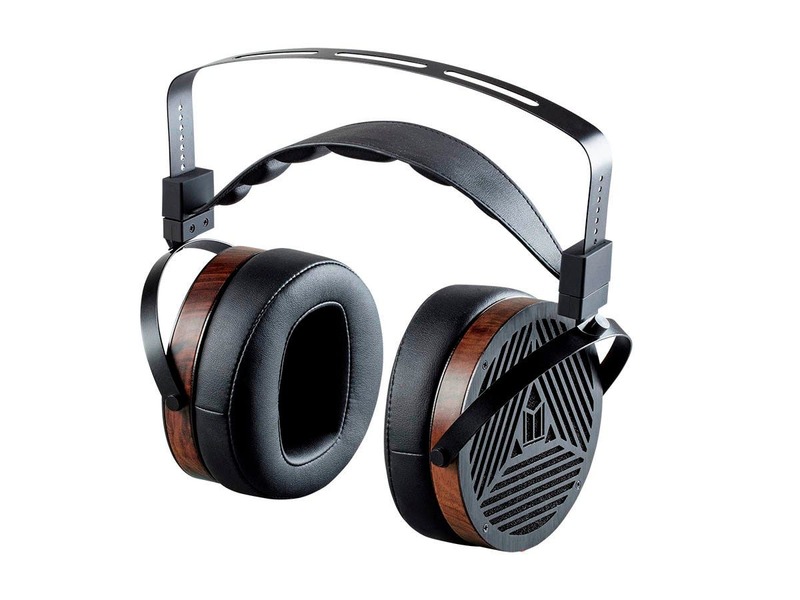 BEST ANSWER: These will stand toe-to-toe with everything but Stax and, perhaps, the LCD-4s. And, depending on your preferences, they could win! Just wondering if the m1060 being sold now are the revised and new versions with the new cables? BEST ANSWER: Revision 1 sold out completely so, by default, every pair being sold is now Rev. 2. Cables are all new. And, since the connectors are now the 2.5mm type you can easily buy any cable you like. You can even go balanced, if you feel the need. This may seem like a ridiculous question, but just received mine, and I cannot find ANY indication of which jack is L or R. The cable (the newer dual 2.5mm cable) is labeled "L" and "R" but the headphones themselves show no sign of which side is Left or Right....no manual was included with mine. Who to tell which is L and R? BEST ANSWER: The ear pads are tapered front to back. The thicker end of the pad goes towards the back. If that is the case, then why is the ear pad seam in the FRONT? It does look like both are red that's odd, just try one way and watch a sound check on say youtube and if left channel is on the right just swap them. I know most recommend a headphone amp for these. How would an audioquest dragonfly perform? I have one lying around and was curious before I pulled the trigger on something new. BEST ANSWER: I cannot say for the Dragonfly Black; but I have more than enough power to drive these with my Dragonfly V1.2. In fact, I feel my Dragonfly is a perfect match with these. It has more than enough headroom, clarity, and power to drive these. Using windows volume control set at ~50%, that Dragonfly outputs more than ample power for me. The dragonfly will drive these ok, but they'd benefit from a higher powered amp. There's only so much power that can be driven from USB alone. Will a 12.9" iPad Pro drive these headphones effectively? BEST ANSWER: I can't speak to the power of the ipad pro, but i've been able to power these off a variety of devices with mostly good results. My phone powers them fine, your ipad should be ok. Does the M1060 v2 cable use mono 2.5mm connectors on the headphone end or stereo similar to the M560? Thanks, so just to be 100% clear they're mono plugs? hi, i´m interested in ordering one of these, but first i need to know if the issue with the headband strap is solved in the new revision. Has anyone found this problem in the new revision ? BEST ANSWER: Dude, chill. The headphone strap problem may have affected some of the first batch, but most were fine. (Mine was.) If you happen to have the problem with the set you get, it's easy to fix, or you should be able to exchange them. 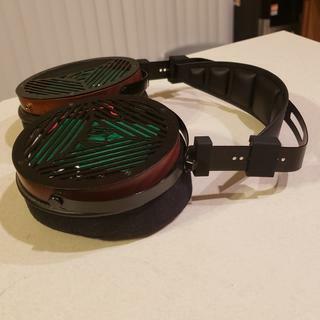 When it comes to this headphone I would have to say they are very comparable to the original Audeze LCD-2. And I would have to say they are quite a treat for my ears. I have been through many headphones and many planar style headphones from the lower end to the higher end. I would have to say when it comes to the sound they are a very very good all around headphone. Very good bass extension for an open-back headphone. Definitely not a super bass headphone due to it being open-back. But if you like very clean, punchy, and articulate bass these are very good for that type of listening. The highs themselves are slight recessed I modded mine a little bit and took the foam out of the back side of the ear cups and it heightened the highs a little. The mids are clear but not too forward, and the soundstage of these is just enough to make you feel like your in the room. I would have to say the build is a little questionable and wish they were built more like the M560's, but I can't complain too much for the price. You can tell they put the money in the planar tech and not so much the build itself. So I would be very careful with these cans due to the build quality. I would give the build quality of the frame and materials given at the price about a 6/10. I would recommend these to anyone that want that nice planar sound. Just be careful with them and you will love them! Happy buying! Fantastic headphones for the money. Very happy with these for the holiday pricing I got them at. I bought these and the HifiMan HE-560v3 that were also on sale for a little bit more. After breaking in the Hifiman set they sounded great, I thought. I bought these and they took no break in period to sound great off the bat. They are much more sensitive and you can get by without a headphone amp. The Hifiman's def needed the amp. Better bass, punchier, and not as harsh as the Hifiman. They have a great soundstage. If you're a bass head, these planar headphones are probably not for you. These articulate bass very cleanly but are not "bass heavy." I guess I'm a bass head and sometimes crave a bit more out of them, granted I have not tried any EQ'ing yet. Great buy for the money. Very solid build quality. Comes with a huge carrying case if you decide to travel with these, but they aren't really meant to be mobile. 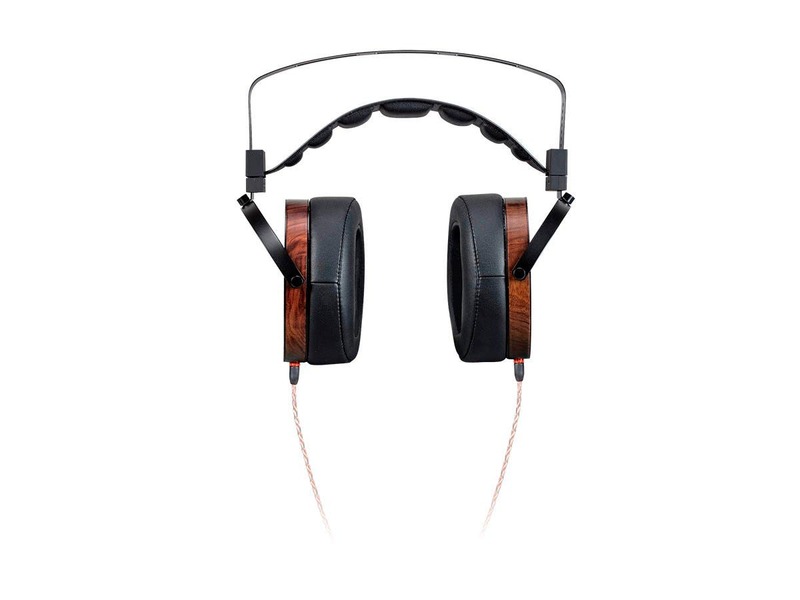 Excellent planer headphones at a reasonable price! These are my third set of headphones at a similar price and although all three were really good, these are my favorites. I took off one star because the connector on the cable kept falling out (didn't snap in) until I risked repairing it myself- using a very small screw driver to widen the connector spot inside the opening. That worked, but risky if it broke something and the warranty was invalidated. I love the smooth but detailed sound through the entire range. Fits well and could listen for long periods without fatigue. Thanks! Very nice headphones. Love the tight and detailed sound of Planar Magnetic drivers. Also love the look of these headphones. 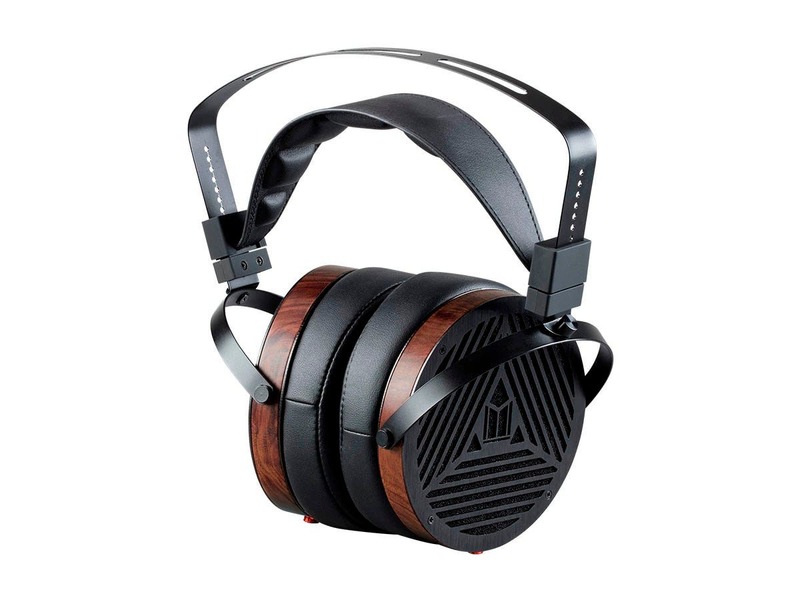 The mix of wood and metal makes them stand out compared to other headphones around the price range. I personally find the ear pads to be very comfortable, however the headband could use some work. There's definitely a noticable weight right at the top of the headband when you first put them on but in my experience I don't notice it as much once they've been on my head for a few minutes. The cable that came with it was of decent quality, but I needed something a little longer so I bought one on Amazon. I found the headphones to be quite comfortable and they sound great.I also particularly like the design where the cord is separate and it plugs into a standard receptacle on the bottom of the headphones. In the case of these headphones, a 3.5 mm stereo plug splits into two 2.5 mm mono plugs--one for each side. The cable is well constructed (and a 3.5 mm to 1/4" converter is included), but I'm not sure a replacement would be easy to find if necessary.You can definitely hear more room noise with these headphones than you would with headphones with a closed back. That's either an advantage or a disadvantage depending on whether you want to be interrupted by outside noises or not. The open-back design does not negate the point of wearing headphones if you're trying not to disturb others in the room. But others in the room will know what song you're listening to.Overall, I'm quite satisfied with the headphones. This was the strangest set of headphones I've ever owned (I ended up returning them after just over a week of using them). The wood rings wanted to crack just by looking at them the wrong way. The headband and hinges creaked any time you moved them, and quite literally felt as though they would just crumble or fall apart in your hands. The cable was of extremely poor quality, and the right angle adapter was a bit perplexing as well. The 2.5mm connections to the headphones themselves were extremely tight and required a terrifying amount of pressure to snap them into place or remove them. The headband adjustment system stripped paint whenever you adjusted the fit of the headphones. This actually felt more like an early stage prototype rather than a complete product. There is just no way that a competent manufacturer would allow QA issues like this onto the market, unless it was rushed out the door or the designers just didn't care enough. Something was definitely amiss here, at any rate. All those issues aside (and then some), the sound quality is what stood out to me the most here. These things sound great -- or, at least my pair did for the most part. But at around day 3, I started noticing my ears would begin to fatigue after around 30 minutes and I was getting headaches. After A/B'ing through some other headphones I own, I realized that these headphones were producing harsh resonances or reflections whenever a really exciting part of a track would play. Female vocals, loud guitar parts, ringing snare drums -- anything with a lot of energy out front in a mix created a lot of resonant harshness to the sound. A good number of owners have claimed there are issues with a 5K resonance, harsh tones, shouty mids, etc. as well, so at least I wasn't alone in that regard. The fact that some headphones sound fine while others are terrible also speaks volumes about the QA over at Monoprice. Then there are the insane amount of mods that users are coming up with in forums to essentially fix nearly every aspect of these headphones. From fuzzor/fazor mods around the drivers, to replacing the foam with folded paper towel, to 3D-printed grills and aftermarket pads to get rid of the harsh resonances inside the earcups. I'm sorry, but Monoprice should not have to rely on its customers to try and fix these for them. It's unacceptable to charge people $400 for an incomplete product. The amount of money some people have put into these on top of their already hefty price tag trying to fix them is pretty incredible. Unless you're looking for a project or an experience of learning how to repair and modify headphones, I'd avoid these like the plague. I struggled to find the value in this sort of investment of time and money, and ultimately ended up returning these. It truly is a damn shame that Monoprice couldn't have been bothered to invest more time engineering these properly, because they were certainly onto something great here, but fell far short of the finish line.